Just a quick reminder that the annual UCLA NeuroImaging Training Program is currently running. You can download all of the materials (slides, video, etc) from previous years (like 2014) on their website. This years materials will be available after the workshop. I also highly recommend, if you have some free time, checking out the live feed running while the course is going on for the next two weeks! 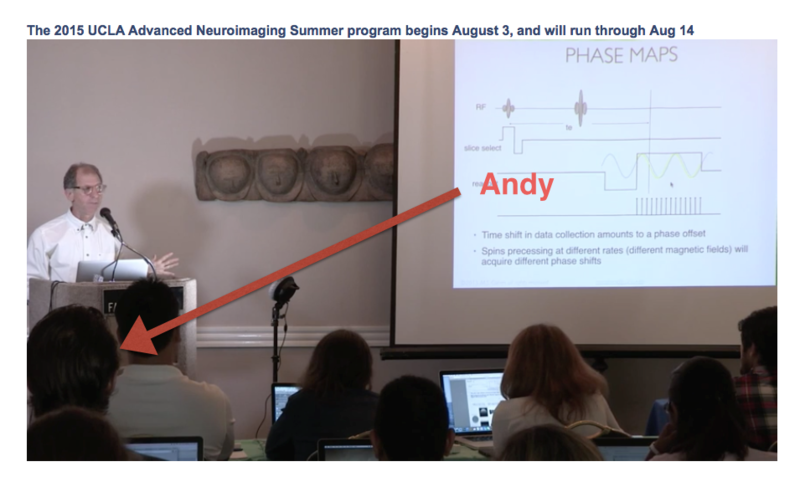 Besides learning a few things, you never know when you might see one of your favorite NeuroImaging bloggers, like Andy from Andy’s Bran Blog!